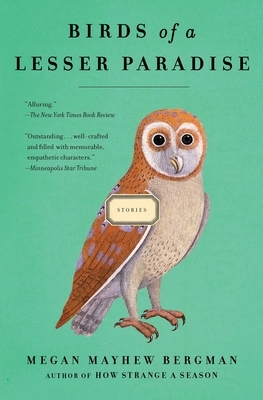 Megan Mayhew Bergman is the author of two short story collections, Birds of a Lesser Paradise (2012), and Almost Famous Women (2015). 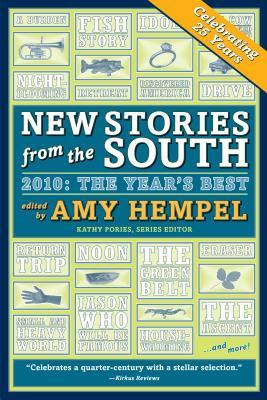 Her stories have been anthologized in Best American Short Stories (2011 and 2015) and have appeared in New Stories from the South 2010, Ploughshares, Tin House, Oxford American, and other publications. She is also a frequent essay contributor to Salon and Ploughshares. Mayhew Bergman studied anthropology at Wake Forest University and holds a master's degree from Duke University and an MFA from Bennington College. Now the associate director of Bennington College's MFA program, she lives on a farm in Vermont with her husband and two daughters. In a conversation with Lisa Lynne Lewis, Mayhew Bergman talks about women behaving badly, blending fact and fiction, and why she used to think of herself as a "garage-band writer." Lisa Lynne Lewis: You recently described Almost Famous Women as being about "Unusual women peering out from obscurity, behaving badly and passionately." At what point did you know you wanted to write a collection about these women? Megan Mayhew Bergman: The collection represents roughly ten years of my reading life. I think I was obsessing and reading about these women for a long time before I realized I was writing a book. I found I was trying to seek out women who were, for good or bad, charting their own course and being passionate about their own lives, art, or career. I don't want to romanticize or make heroes out of them, but I'm really fascinated by how they were making a name for themselves within a historical context. What they were doing was fresh and unusual and exciting even in a contemporary context! With many of them, there are so many gaps or holes in their stories. A lot of these women ran in the same circles; many of them were part of Natalie Barney's literary salon in the Left Bank in Paris. For me, their worlds started to overlap, and before I knew it I was working on a collection. I wanted to see more women portrayed in fiction as heroes of their own narrative—not as in heroic, but actually pursuing a narrative line that wasn't just about romance. LLL: Given that you were writing about actual historical figures, how much responsibility did you feel to be factually accurate about their lives? MMB: As a writer, I had an invitation to create fiction―the character of Georgie in "The Siege at Whale Cay" is fictional, as is Mario in "Romaine Remains." In creating these characters, I wasn't as chained to fact. One thing I was bringing to the story and to the conversation, which took hard work, was weaving together fact and fiction. At the time I started writing these stories I was teaching Henry James' essay, "The Art of Fiction," in which he states that novelists need freedom. I decided I was going to extend this freedom to myself as a short-fiction writer. LLL: In both of these stories you mentioned, "The Siege at Whale Cay" and "Romaine Remains," the events are narrated by someone close to the main character. Why did you decide to use this perspective, and what did it offer you as a writer? MMB: Given all of these intense, passionate characters, I thought that if all of the stories were in first person, the collection would come across as if it were in all caps and would lack texture. Instead, some of the stories are told in first person, some are in third person, and some are told by an outside character. Oftentimes I thought the way we see these women treat a lover or a servant in their orbit is very illuminating. I'm intrigued by the way fame impacts power dynamics and hierarchy in a relationship and how people treat each other. LLL: Joe Carstairs, the British speedboat racer at the center of "The Siege at Whale Cay," certainly seems like an interesting historical figure. She's the brash owner of her own private island and has an ongoing romantic relationship with Marlene Dietrich, but she's also haunted by her experience as an ambulance driver during World War I. 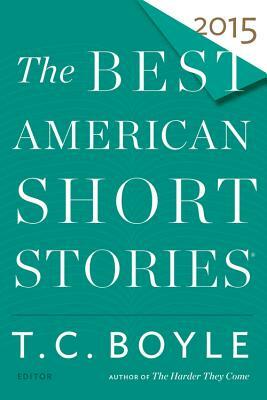 The story was recently selected to appear in Best American Short Stories 2015. Can you tell us a bit about your writing process for this story? MMB: That's the story I worked the hardest and longest on. I also had many people edit it, and then Kenyon Review editors Caitlin Horrocks and David Lynn worked with me on it before it was published there. I knew it was a rich story and that I had to get it right. I think the work and many iterations show in the final version. Joe Carstairs herself is a compelling character. Also, the setting of an island transports readers and gives the feeling of entering another universe with its own rules and pressures on the characters. Georgie, her lover, is very much fictional, but I also see a lot of myself in her character, a girl from the small-town South. Because of this there may be a more astute emotional life in that story. LLL: The author's note at the end of the book about your research for these stories fascinated me. You wrote that Romaine Brooks' work was described by one art historian as depicting "heroic femininity," and that this element of her work made a deep impression on you. Can you elaborate? MMB: Her art, which is in the Smithsonian, depicts women doing work and being strong and not being objects of the male gaze. Even now it still seems fresh to me to see these women wearing monocles and top hats and blazers. They have aesthetic beauty but also something more, implying that the woman depicted is doing something where she has agency. LLL: There are so many women in your collection who were not well known, such as Tiny Davis, and/or peripherally famous, like Dolly Wilde (Oscar Wilde's niece). Were there other women you wanted to write about it who didn't make it into the collection? MMB: Absolutely. I think I could write three more volumes! The best part is that I often get emails suggesting other women―cross-dressing Civil War soldiers, or a woman who had a patent on a handgun holster. The world has swept a lot of these women under the rug. LLL: In addition to having "The Siege at Whale Cay" in the forthcoming Best American Short Stories 2015, you also had a story, "Housewifely Arts," selected for 2011 before your debut collection had actually been published. What was that like? MMB: The first time I found out I was completely surprised! 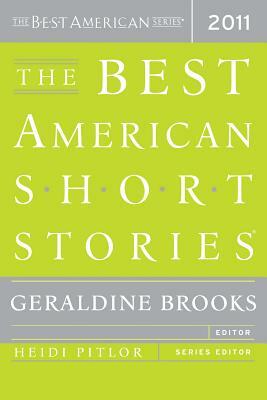 My book hadn't come out yet, so being in Best American Short Stories was my first big publication. I think having my story included there made a difference in how my work was perceived. I remember I went to an event and Geraldine Brooks, the editor who chose it, asked me to join her in signing copies of the book. It was one of those moments when I wanted to pinch myself. 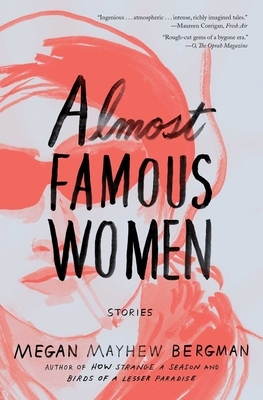 LLL: Almost Famous Women is dedicated to your two daughters, ages four and six. What do you hope they'll take away from this book once they're old enough to read it? MMB: I actually just wrote a letter to them about this topic that was published on the Ploughshares blog in August. I want them to know that they don't have to be "good" by anyone else's definition but their own. A quote from the letter: "I've spent far too much energy in my life being 'good.' Seeking approval and validation outside of my own gut, criticizing myself for failing an image. If you pursue the prescribed perfection of womanhood, you'll find it can be a demeaning, exhausting endeavor." LLL: In addition to raising your daughters, you and your husband live on a farm in Vermont. It sounds like a typical day must be quite busy! MMB: I don't think I've had a typical day in six months! I'm at the point now where I'm taking a longer look at myself, at my career and my choices, and continuing to push myself and challenge myself. When I first moved to Vermont, it was a transitional year: In a six-week period my husband graduated from veterinary school, his mother passed away, we moved to Vermont, I gave birth to my first child, and we put our house on the market in North Carolina. And I had postpartum depression. I was on my knees. I told myself, "I'm not going down like this. I'm going to reinvent myself as a writer." It got to the point where I accepted being emotionally vulnerable, which meant I was finally willing to put my work out in the world without a paralyzing fear of criticism. Now, six years into my career, I feel like I'm having another moment of reinvention. My daughters are a bit older, and I'm suddenly noticing I have more space in my brain. Any sort of self-interest as a mother is complicated territory, but I always feel like if I'd want my daughters to allow this for themselves―to focus on their passions and wants and careers―then I have to give it to myself as well. LLL: I recall reading that in your earlier days you thought of yourself as a "garage-band writer." What a great description! Can you tell us more? MMB: I started off as a secret writer: I thought of myself as a writer and yet I was too scared to write. It was a funny disconnect. For me it's been about chronically seeking permission from myself to spend time on something that I love. I first started working―in a leotard shop―when I was 14. It was hard to come from that and say, "I want to be an artist." It didn't feel practical. I felt I needed to defend the choice and tell myself it's worth investing time and taking risks. Later, I had friends who were musicians who weren't trying to get a contract or become the next Radiohead. They were just making their art. I saw that you could make art that you enjoy and others enjoy rather than focus on selling it, so I decided to give myself permission to make art. LLL: How do you think of yourself now? Has your approach changed? MMB: Hmmm . . . indie folksinger songwriter? A lot of writing programs tell you to write the book you want to read, and I do try to satisfy myself as a reader. Ira Glass from This American Life said that when you first start out, your taste is better than your ability. Every year I feel that gap closing. I try to write engaging, passionate books. If there's anything I'm against, it's ambivalence and apathy. That's not the kind of fiction that moves me. I will say my work almost always has the same themes. Every writer has his or her obsessions. I often tend to process women's experiences, and I'm passionate about the animal world and environmentalism. MMB: I have a novel under contract with Scribner. It's taken a couple of tries to get the novel form right―I understand why many novelists have several novels sitting in a drawer. For the last few years I've thought of myself as still in the learning phase. I feel like I'm a very natural short-story writer: I know the form and think in that form and am comfortable in it. Even so, I had to write about 30 bad short stories before I felt like I wrote a good one. I like the control of the short-story form―that you can read it over and over―but I have to let go of that control. That said, I have a lot of longer stories in me. I have three or four novels plotted out, but I approach the form very humbly.